Quick update. It’s been another busy week. 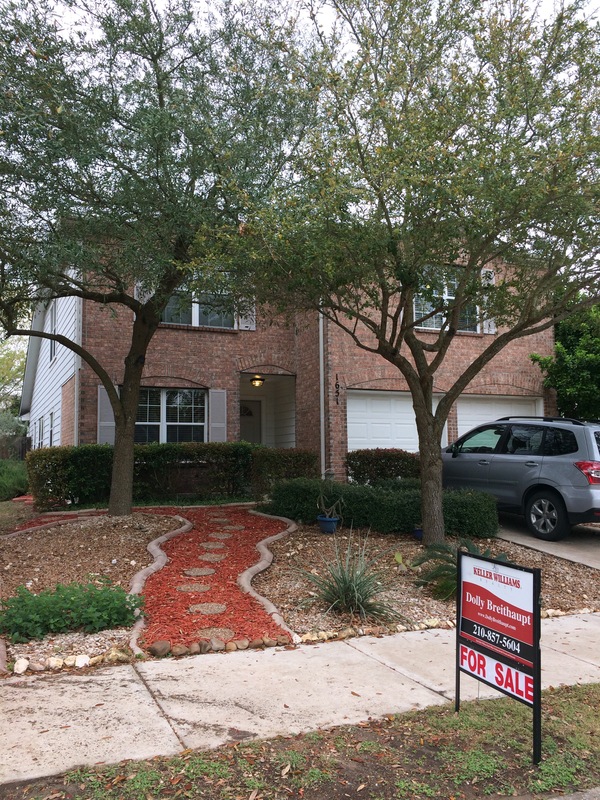 We spent it working on our to do list, getting our Schertz home ready to put on the market with Keller Williams. I did a little shopping, picking up a few items to add some color to the house. Jon pressure washed the outside of the house, along with the driveway and sidewalk while I worked on rearranging, packing and touch up painting. Jon also picked up a load of sod and we planted grass in our old garden area in the back yard and the side yard where all the grass had died. We mulched our flower beds and a xeriscaped pathway I had made. We also took most of the potted plants I had up to the new house and set them outside of our camper. So far, they have survived the deer. Friday the photographer came and took pictures of the house. Paul Swoyer brought out their equipment to start digging out our septic today, A&M Electric continues to run electrical wire and set up outlets, switches and lighting, and Chavez’s construction guys are installing our porch and patio ceilings and will finish up/fix the last few framing details and issues. Ron from Bill’s cabinet shop also came out to take measurements for our cabinets. In the midst of it all, we had a day full of house showings. This entry was posted in Hill Country Living and tagged A&M Electric, Bill's Cabinet Shop, Chavez Construction, Country Living, Keller Williams, Paul Swoyer, River Chase, Texas Hilll Country. Bookmark the permalink.